We have started our programme with life enhancing Body Mindfulness Meditation blended with the practices of love and gratitude: and we have expanded this class to include a cocktail of other powerful meditations too: On most Wednesdays at 8 pm. Read on for more information and contact Karen(Replace this parenthesis with the @ sign)wow-coaching.co.uk. to confirm your place. Now and in the future, we are expanding into semi private classes including Yoga and Pilates and more. Check the next paragraph for the latest: Many of our teachers will support you to create a bespoke life enhancing intention at the beginning of their sessions and complete each session with an uplifting gratitude practice. Time permitting, you may also be invited to join us and your fellow students for a calming or uplifting herbal tea to follow your class. We are also planning to introduce aromatherapy focused essences to many of our classes too. You may purchase single sessions or a 10 class pack. Our trial timetable is below. Classes are open only to members. Membership is free of charge (for a limited period). 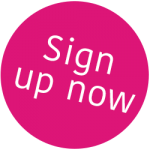 To register for your membership and join, all you need to do is submit your email on the pink strip at the top of the page. You will be sent a welcome email which you will need to bring to class. Book your chosen class, workshop or retreat in advance by contacting the relevant teacher. Please also contact the teacher for further details of the class being offered. This applies once the class has started running. Please note we are still developing our timetable below. We will be adding new classes, workshops and retreats over time. Bookmark this page or join as a free of charge member to find out the latest. Learn and experience many different meditation practices: including Mindfulness, Guided Meditation, Loving Kindness and Moving Meditation to bring you peace of mind and insight. Karen says “I have trained in many different meditation modalities and have found that different meditations suit different purposes and different people. My favourite is both easy to do and very effective, even for those who say “they can’t meditate”. This is a life enhancing meditation which blends Body Mindfulness with the practices of love and gratitude. Karen says “Even though I have been meditating for 20 years, I felt inspired to review the benefits of meditation. There are so many documented benefits to our health and well-being; Do have a look through the list and note down which benefits you would like to receive. Meditation reduces stress, anxiety, depression, over thinking, OCD, and helps switching off. am offering this life changing Meditation most Wednesdays. Check with me at karen(Replace this parenthesis with the @ sign)wow-coaching.co.uk">karen(Replace this parenthesis with the @ sign)wow-coaching.co.uk to confirm your place. As a facilitator of “well-being” and “feel good”, I am unusual in that I have a broad repertoire of offerings and a wide range of skills in transformational coaching and coaching supervision, leading meditations, teaching dance meditation, and in energy work. For a limited period Karen is offering Meditation sessions for only £10 and £97 for a 10 class pass (instead of £17 and £137) Please purchase your session/s below and then book your place in advance by contacting Karen via Karen(Replace this parenthesis with the @ sign)wow-coaching.co.uk or text her on 07766138388. Special offer meditation session prices for a limited period only can be purchased via paypal at the links below. 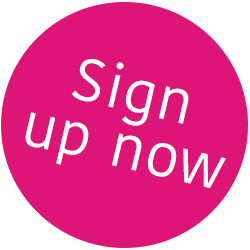 Please confirm your attendance via email to Karen(Replace this parenthesis with the @ sign)wow-coaching.co.uk. Yoga and Pilates will start in the future The exact start date is TBA. Sign up as a member to find out more. This class will bring you out of your head and into your senses for a mellow vinyasa practice with emphasis on alignment and mindful placement of the body. Aromatherapy blends are used to enhance your practice and for their therapeutic qualities, leaving mind, body and spirit feeling stimulated and refreshed. All levels. Sign up as a member to find out more. Begin your practice by creating heat through a dynamic, strengthening, energizing and uplifting Vinyasa flow (Yang) before moving into and winding down with a de stressing, nourishing and restoring Yin Practice. Floor based stretches will penetrate deep into the connective tissue which increases flexibility. Feel a combination of relaxed and rejuvenated but ultimately rebalanced – mind, body and soul. Sign up as a member to find out more. Dissolve tension and cultivate a deep sense of well-being through gentle floor postures that use props to support the body to achieve deep physical, mental and emotional relaxation. The poses allow the muscles to relax, the body to de-stress and the nervous system to let go. The practice has the potential to rejuvenate and restore energy levels. Suitable for all levels. Sign up as a member to find out more. Dance of the Heart is an uplifting blend of free expression dance blended with some moving meditation. As there are no steps to learn, it is ideal for everyone including those who believe “they can’t dance”, as well as those who can. It’s a great way for families to have fun together and deepen their connection. It’s also a great introduction to meditation for those for whom sitting still is not “ their thing”. Karen has shared Dance of the Heart with adults as well as families at many festivals around the country. Dance of the Heart includes hundreds of different exercises. The blend of exercises chosen for family Dance of the Heart are chosen especially to appeal to families. A “Dance of the Heart” enthusiast shares what she most enjoys about it. “I love the freedom to be me, and to move without limitations. It’s so much fun: not only do I find my usual inhibitions are released, but I leave each session uplifted, energised and with my heart opened. I feel happy, relaxed and feel like I am falling in love with everyone!